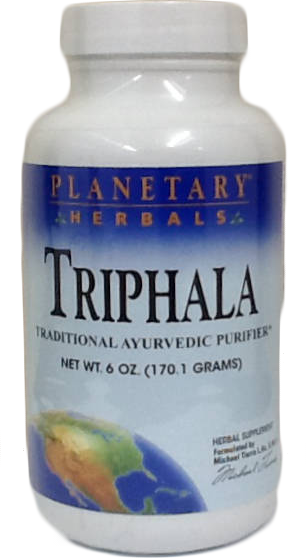 Triphala (three fruits) is one of the oldest and, beyond doubt, the most highly revered compound in the 5,000-year tradition of Ayurveda. This formulation combines three unique sour and astringent fruits that are legendary for their health promoting effects: amla (Emblica officinalis), behada (Terminalia belerica), and harada (Terminalia chebula). In Ayurveda, Triphala is considered to be the most balanced of all herbal compounds, and it is the cornerstone of herbal therapies in India.